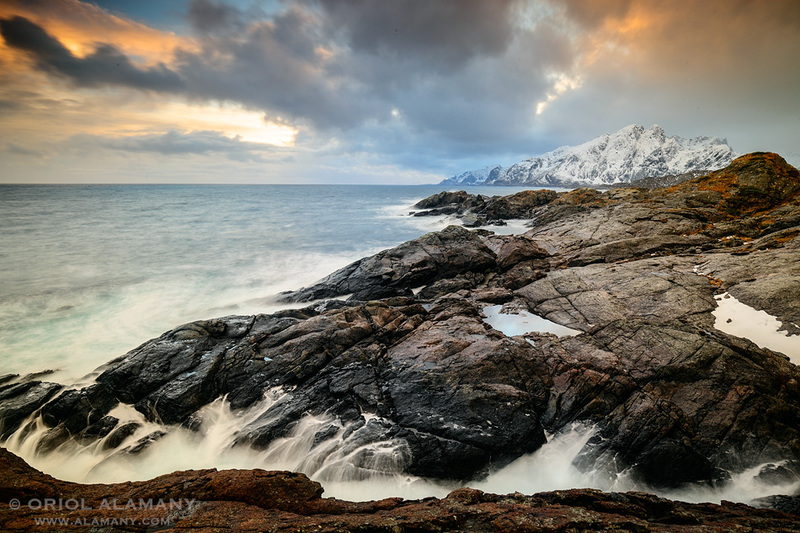 Two weeks ago I come back to Lofoten Islands to photograph it’s winter landscapes and with the hope to watch some Northern Lights. My wife and me travelled there one summer 30 years ago, in our first trip together, and the islands have suffered some big changes since then: New roads, lots of bridges instead of the old and beautiful ferries, and also a lot of photographers. And for me, a digital camera instead of my beloved Kodachrome 64 slide films. Now we travelled in the secondary roads and tracks looking for peaceful and less frequented locations without the photographers crowds. Being in the Arctic in winter is a wonderful experience although the cold, rain and wind were ever present.